The seminar was part of a two-week exhibition and series of events that UKK hosted as part of their ten-year anniversary at Overgaden. 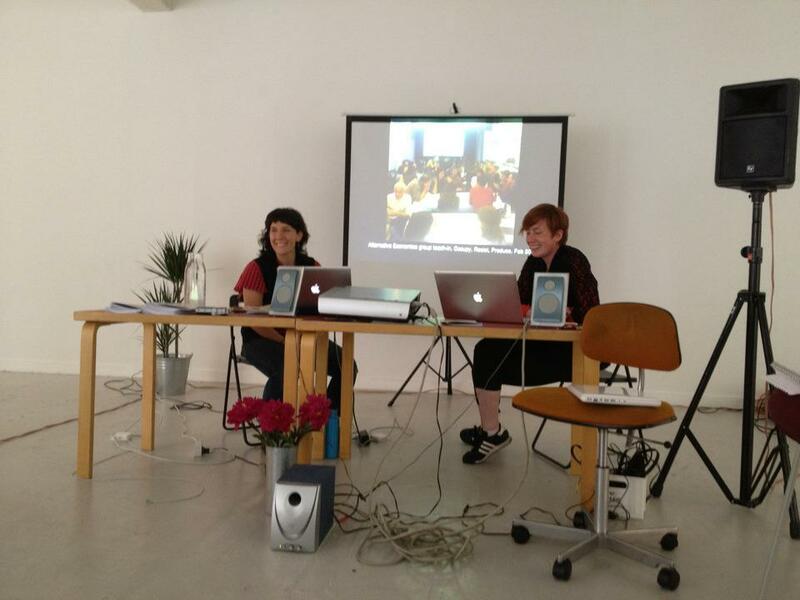 We presented alongside the Precarious Workers Brigade/ Carrot Workers Collective from London, a representative from the research department of the Chilean Ministry of Culture, the Danish art and activist collective Openhagen, and the UKK. 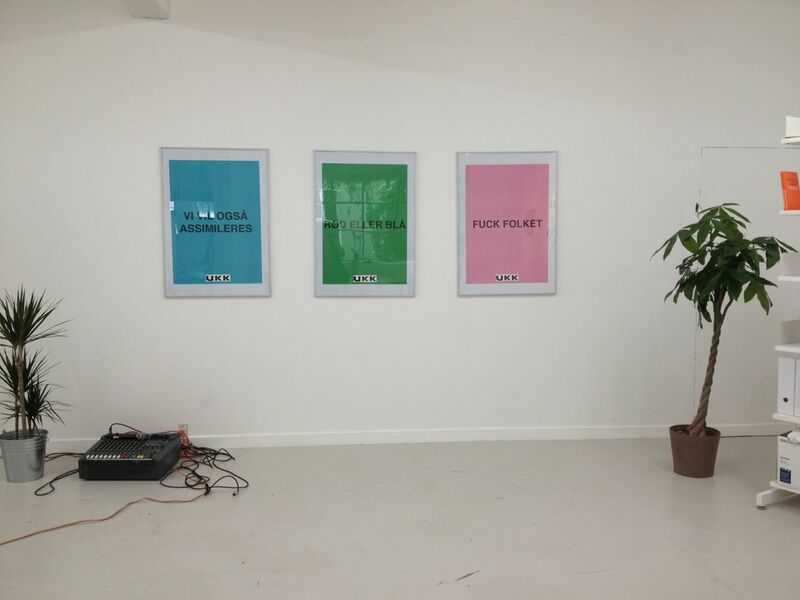 UKK (Young Art Workers) was founded in Denmark in 2002 as a response to the cultural policies of the right wing government that came into power in 2001. The UKK was organized as an association open to membership for artists, critics and organizers involved with art production. The development of the policies of the UKK was based on a series of subcommittees engaging in various questions such as Art and Public Space, Art and Economy, and Art and Education. A committee called Art Workers against the War also appeared in 2002 to protest against the ‘War on Terror’. The committees worked independently and were not obliged to represent the official policies of the mother organization. Any member of the UKK could open a subcommittee and any member was allowed to join any of the committees. 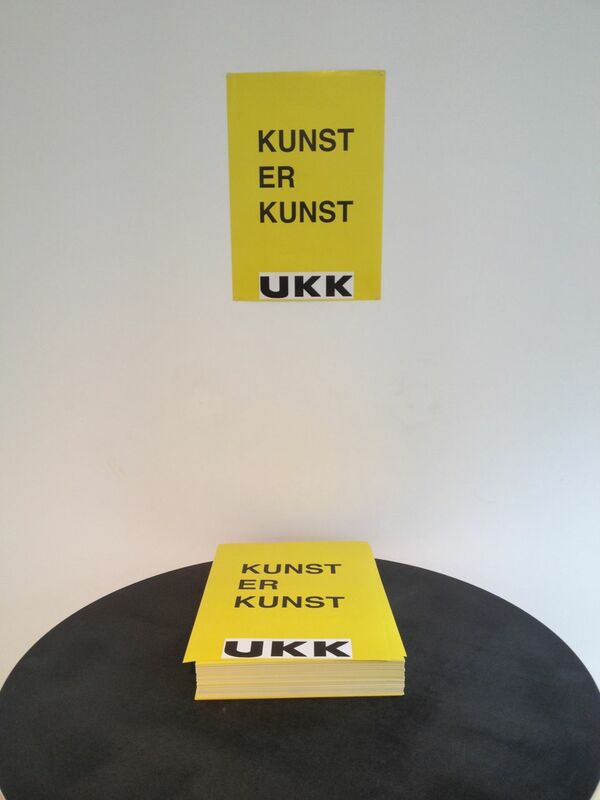 Today the UKK has achieved representation at the Danish Arts Council and other institutional bodies of the Danish art scene. The UKK are still an ‘activist’ organization based on free labor and has about 300 members. During the seminar, each group gave a short presentation followed by open discussion, and continued over a group dinner we made together. We discussed ways that we could build international solidarity, recognizing that there are vast differences between artists organizing within a state-funded system and those without that kind of support. For instance, in Denmark, since there is so much funding for artists by the government, there is essentially an “employer” where artists can turn to for advocacy and for certain demands. 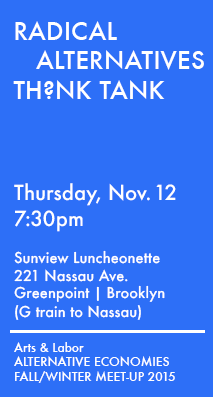 We talked about the common experience of institutions not recognizing collective or collaborative teaching and thinking, the economic value that artists bring to cities and how rising rents and gentrification affect both artists an non-artists alike, and the conditions for young artists coming out of art school, and ways that we could offer support during that critical and vulnerable period. 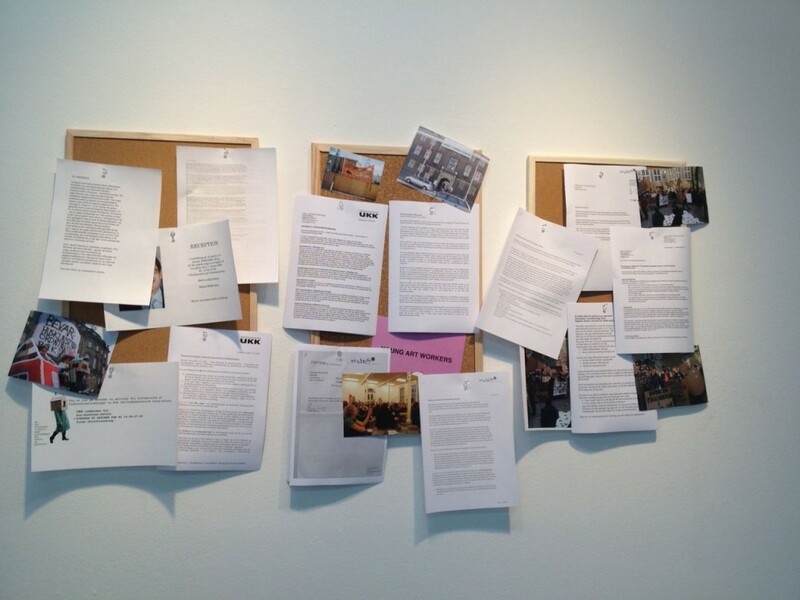 In considering Arts & Labor contextualized internationally, we are excited about the ways that we can create a network to show support and solidarity for our various struggles. We intend to continue this conversation and hope to plan collaborative actions to build alliances about the economic issues affecting artists internationally. This entry was posted in Actions & Events and tagged precarious workers brigade, presentations, report back, seminar, UKK, working conditions. Bookmark the permalink.